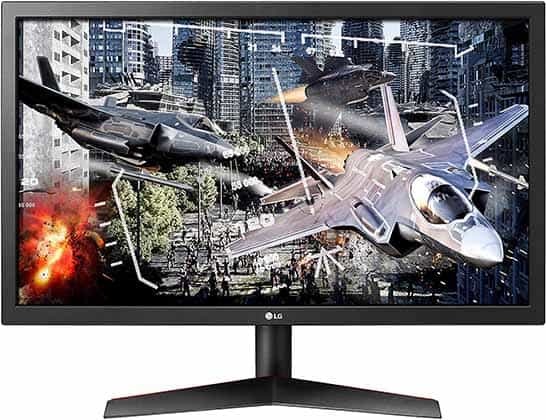 The LG 24GL600F is an affordable entry-level 144Hz gaming monitor that encompasses everything a competitive FPS gamer may need including low input lag, quick response time, FreeSync, and Motion Blur Reduction. It’s the successor to the popular LG 24GM79G which offers the same key features. The LG 24GL600F monitor uses a standard TN panel with a 1,000:1 static contrast ratio, a 300-nit peak brightness, and dithered 8-bit color depth (6-bit + 2-bit FRC, 16.7 million colors). Like all TN panels, you get the narrow 160° (vertically) and 170° (horizontally) viewing angles meaning that the image will shift in color, contrast, and brightness when you look at it from skewed angles. As long as you are directly in front of the screen though, there are no issues regarding this. The colors are not as rich as that of IPS and VA panel displays, but you get a faster 1ms response time speed (as opposed to 4ms-5ms of IPS/VA) for zero ghosting in fast-paced games. 1080p resolution provides a decent pixel density on a 24″ screen and more importantly, allows for smooth gameplay as it’s not very demanding on your GPU/CPU. Our LG 24GL600F-B unit had no dead/stuck pixels nor any other defects such as excessive backlight bleeding. The image out of the box can be improved via calibration though. The monitor has a flicker-free backlight and a low-blue light filter, so you can game for hours to an end without eye strain/fatigue. The LG 24GL600F input lag performance is top-notch with only ~4ms of delay at 144Hz which is fit for professional gaming. If you play fast-paced games such as first-person shooters or racing titles, a 144Hz refresh rate is a must as it makes everything run significantly smoother. In case you prefer more graphically oriented games, you may consider a higher resolution/lower refresh rate display instead. Moving on, the response time speed of 1ms (GtG) removes all trailing and motion blur of fast-moving objects. You can also use the 1ms Motion Blur Reduction (MBR) technology which via backlight strobing provides CRT-like motion clarity. This technology introduces flicker, decreases maximum brightness while activated, and can only work at 120Hz or 144Hz. The LG 24GL600F 1080p 144Hz 1ms gaming monitor also supports AMD FreeSync which provides a variable refresh rate (VRR) if you have a compatible graphics card. FreeSync removes all screen tearing and stuttering as long as your FPS (Frames Per Second) rate is within the VRR range of 48-144Hz. In case your FPS rate drops below 48Hz/FPS, AMD LFC (Low Framerate Compensation) kicks in and improves the performance by doubling or tripling the frame rate (for instance – at 40FPS, LFC ups the refresh rate to 80Hz). On the LG UltraGear 24GL600F, AMD FreeSync also works with compatible NVIDIA cards without any issues whatsoever. Note that you cannot use FreeSync and 1ms MBR at the same time. The LG 24GL600F features an upgraded and better-organized OSD (On-Screen Display) menu in comparison to LG’s previous generation displays while the navigation is effortless thanks to the joystick that’s placed beneath the bottom bezel of the screen. Gaming features include Black Stabilizer (increases visibility of objects in the dark without overexposing the bright areas), Crosshair (customizable crosshair overlays), Game Mode (pre-calibrated FPS and RTS picture presets, plus two customizable profiles), and Response Time/Overdrive (Off, Normal, Fast, Faster). Unlike the LG 24GM79G which has a fully ergonomic design, the LG 24GL600F has a tilt-only stand, but it is VESA mount compatible (100x100mm). Connectivity options include DisplayPort 1.2, two HDMI 2.0 ports, and a headphones jack whereas the LG 24GM79G also has two additional USB ports. AMD FreeSync is supported over both DP and HDMI with a 48-144Hz VRR range. 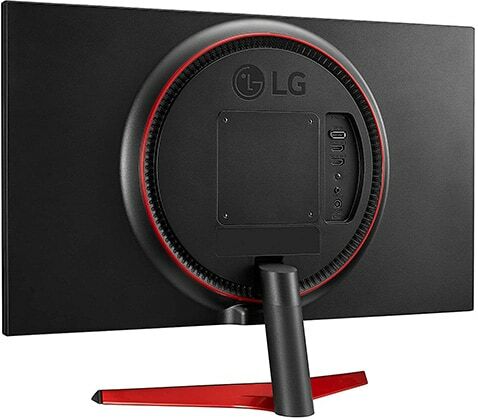 The LG 24GL600F is usually priced at around $230 which is a good price if you want both FreeSync and 1ms MBR. If you don’t care for MBR, you can check out the Acer XFA240 instead. 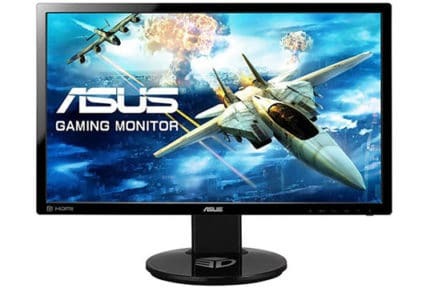 It’s a similar 24″ 1080p 144Hz 1ms gaming monitor with FreeSync and it has an ergonomic stand. You may also want to check out the AOC G2590FX and the Acer KG251QF which have a newer 24.5″ TN panel with slightly better colors and higher peak luminance, but no MBR. Lastly, if you prefer better colors and viewing angles to quick response time, check out the AOC C24G1. 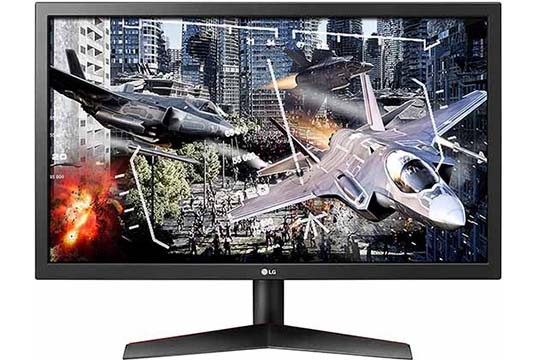 Overall, the LG 24GL600F is an excellent gaming monitor for the price. It features everything a competitive gamer may ask for including low input lag, quick response time, high refresh rate, VRR, and MBR. All that, packed in a modern and sleek display, at a reasonable price! The LG 24GL600F is a great budget gaming monitor for competitive gamers looking for both FreeSync and Motion Blur Reduction. 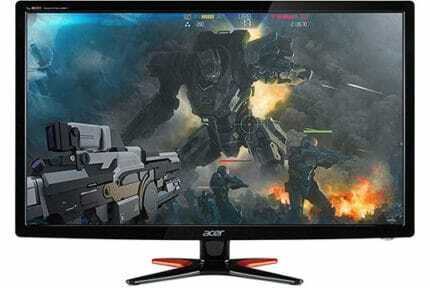 In case you're not a fan of backlight strobing, you may want to check out the Acer XFA240 or the AOC G2590FX instead.